At the beginning of the year we promised we would blog twice a week (I may have been the one who promised, Mr. Awesome might have said something like - 'Wait, what?'). And for a minute it happened, but then you know...life. 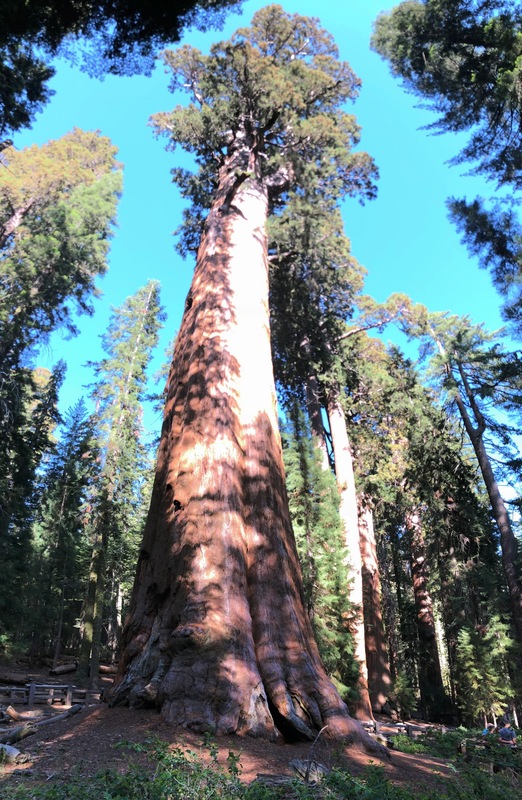 We recently returned from an amazing trip to California to Sequoia National Park; Yosemite National Park; and the Rubicon Trail. We were humbled by the rugged natural beauty of these renowned spots as well as the kindness and generosity of the strangers who became friends that we ran the Rubicon trail with. It was a birthday and Independence Day celebration we'll never forget. The General Sherman in Sequoia National Park. Heading along the Rubicon Trail. Now we're back and trying to remember how to do this whole "real life" thing. We are striving for more balance and creating a life we don't need a vacation from, so stay tuned for local Utah adventures. Plus, we're refocusing on healthy eating, so there should be healthy, veggie-centric recipes coming your way, like cauliflower rice paella that we're going to try tonight. And now that we've finished painting the main level of our house (with the incredible help of an awesome friend) maybe I will finally get some after pictures of the chairs we were refinishing. What are you doing to make the most of your summer?